We have witnessed some of the brightest pitching prospects in the game make their much anticipated major league debuts this season, from Kevin Gausman to Gerrit Cole and Zack Wheeler. 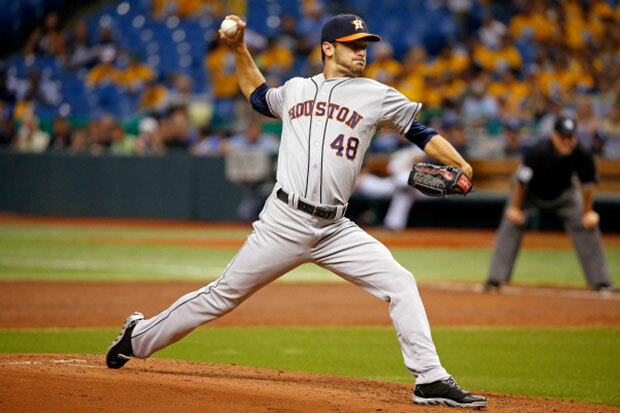 Most recently we saw Houston Astros top prospect Jarred Cosart take a no-hitter into the seventh inning in his big league debut on July 12 against the Tampa Bay Rays. Cosart would go onto pitch eight scoreless innings en route to his first career victory. Currently, a bevy of highly touted and skilled pitching prospects with plus potential continue to dominate the minor league levels and await their big league call-up. The following list features the Top 10 pitching prospects (who are currently understood to be amongst the top prospects in the game) that are projected to make their major league debut first. Although there are other pitching prospects who will make their big league debuts before the players mentioned on this list, the fact of the matter is that these listed players are the preeminent pitchers in the minors and we will be focusing on predicting the respective arrivals of those prospects.